SIC Racing will join the 2019 MotoGP grid, taking the tally of teams for the upcoming season to 11 in total. The Malaysian team, owned by the Sepang International Circuit, will field two Yamahas in the premier class of the championship next year. This puts an end to Yamaha's search for a replacement for their long-time satellite outfit - Tech3. The team had earlier this year announced their decision to move to KTM for the 2019 season. 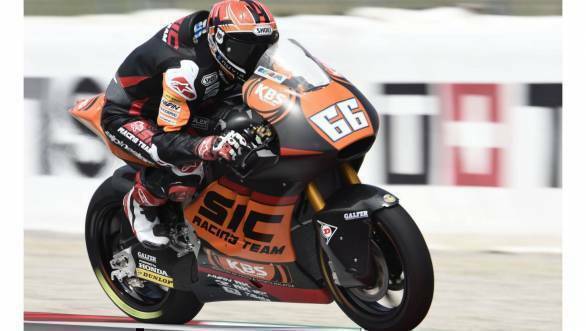 SIC Racing was established in 2014, and has since then, competed in Moto3 and Moto2. The team's addition to the MotoGP grid has been facilitated by the fact that the Ducati satellite outfit, the Angel Nieto Team, will not be part of the grid in 2019. Marc VDS is another team that might not make it to the 2019 grid, with internal team strife the reason for their possible departure. A statement from the Angel Nieto Racing Team declared that an agreement has been reached with the Sepang International Circuit that the SIC team would take over the two MotoGP entries of the ANRT. It was also announced that Jorge "Aspar" Martinez would take over as sporting director for the new team. Martinez, in addition to being one of the most successful grand prix motorcycle racers of all time, has also run his own teams, with Ducati, Honda and Aprilia machines. The SIC-Yamaha deal is meant to be a three-year deal, going all the way till the end of the 2021 season. While no announcements have been made, as yet, of the riders for the team, Franco Morbidelli and Dani Pedrosa are linked to the outfit.